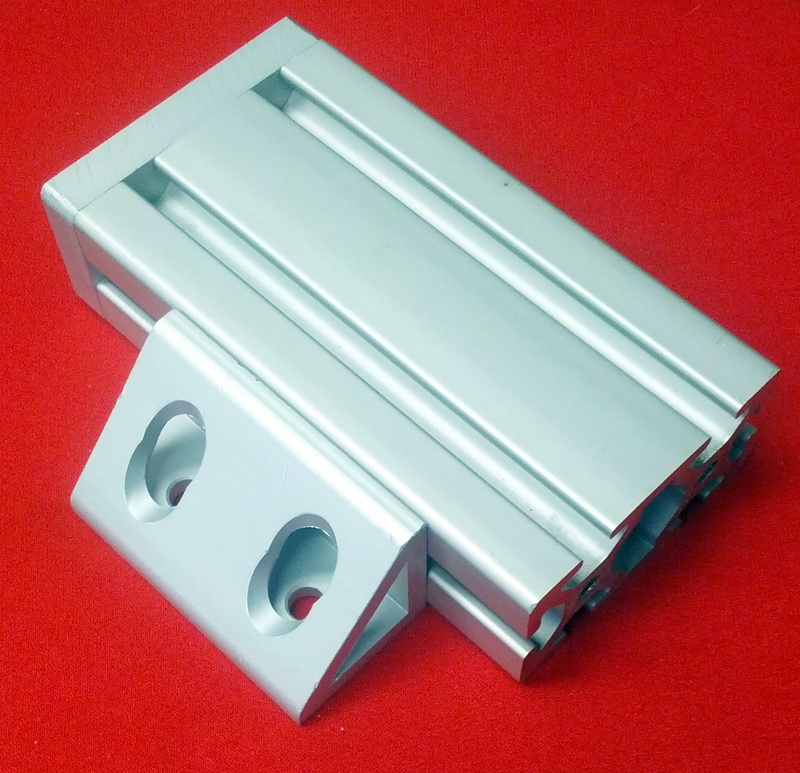 This extruded aluminum gusset is designed to work with 40 Series Metric Extrusion. These gussets are ideal when holding your extrusion perpendicular is critical. Using a Roll in T nut with a 16mm Buttom Head Cap would be an ideal way to attach this gusset to your extrusion.